Update! 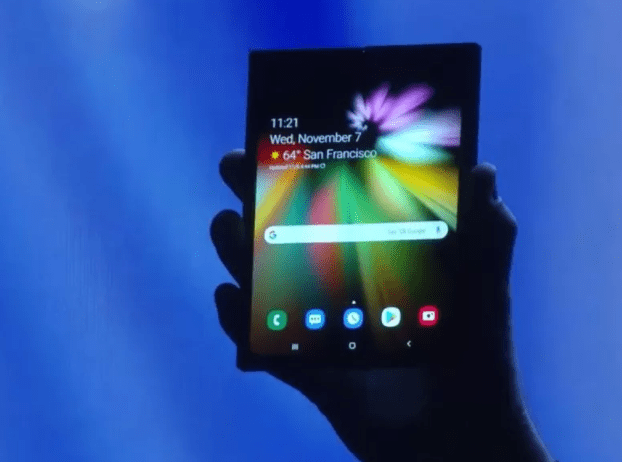 Samsung has confirmed that Galaxy Fold is the official name of its latest foldable smartphone. Samsung remains one of the best mobile phone manufacturers in the world with so many successful and high tech smartphones under their shelves. 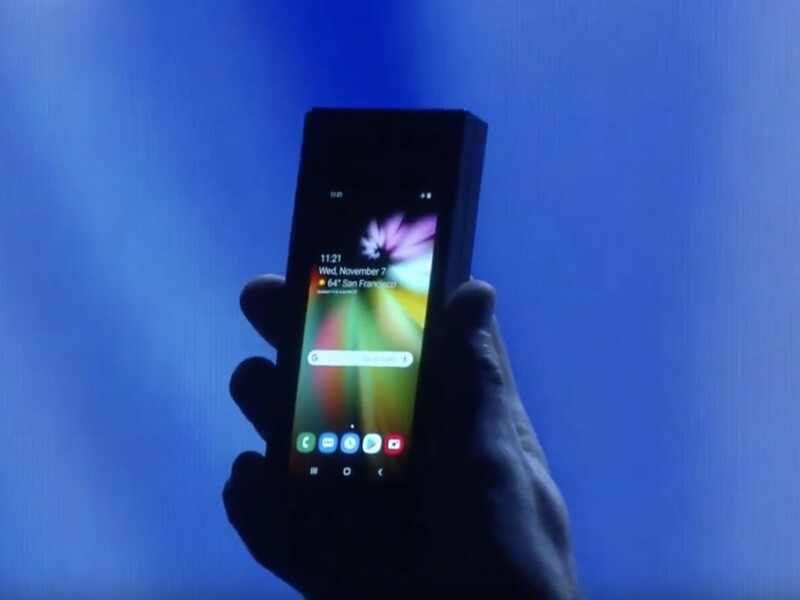 We are just a few days away from seeing another high tech smartphone from Samsung which according to reports will be called Samsung Galaxy Fold. Although the official name is still not 100% confirmed but the smartphone will be launched officially on February 20, alongside Samsung Galaxy S10. 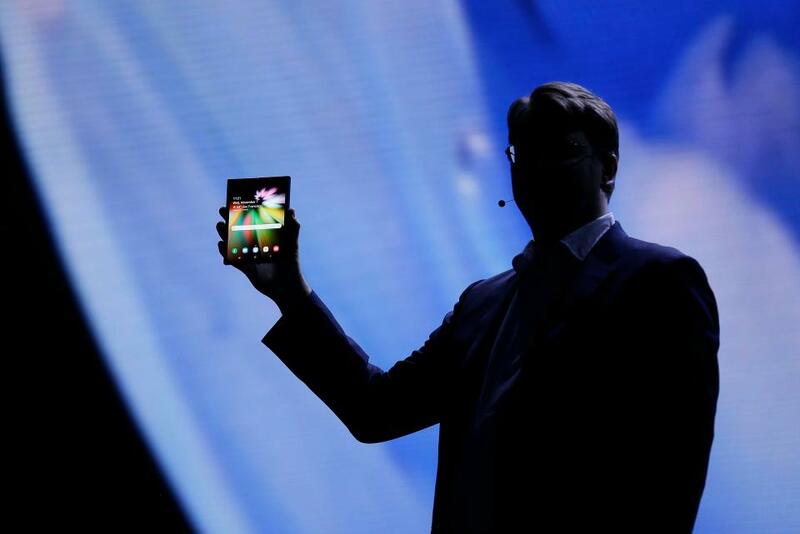 For quite some time now, there have been rumors about Samsung releasing a foldable smartphone. The teaser was first released in a press conference in November 2018. Ever since then, we have been anxiously waiting for the company to officially launch the foldable smartphone. The wait is over as Samsung is ready and will be unveiling Samsung Galaxy X – which is termed as the world’s first foldable smartphone. Samsung Galaxy X will come as a half-tablet, half-smartphone with a large display. The upcoming tablet-sized smartphone can be folded half way into a portable phone that can fit into pockets. The upcoming Samsung foldable smartphone comes with an impressive design. The device is rumored to have a 7.3-inch screen when you unfold it and 5.0-inch screen when you fold it back to a smartphone. The phone runs on Android v7.0 (Nougat) Operating System with Quad-core (2.4 GHz, Dual-core, Kryo + 2 GHz, Dual-core, Kryo) processor. The upcoming foldable smartphone is armed with a 6GB of RAM alongside 128GB internal space. When it comes to the power that comes with Samsung Galaxy X, rumors have it that the device is going to be powered by a 4,000mAh battery. Whether true or not, we can’t confirm for now until the official launch date which is just four away from now. The device packs 18 Mega Pixels rear camera which is not even close Xiaomi Redmi Note 7’s 48MP shooter. The front has 8 Megapixels selfie for a clear selfie. Nothing has been said about the official price of this device, but rumors claim Samsung Galaxy X will be sold at 1350 Pounds. The price is not cheap but Samsung has concluded arrangement to ship a million of Samsung Galaxy X right after it has been launched.